Are you among those people who feel embarrassed in the public because you have lost your natural teeth? Well, dental implant offers you with a solution to replace your missing teeth. This is one of the effective and permanent way of having all natural teeth back. This restoration is closer to getting back all your natural teeth in same color, shape and size. In the current scenario, increasing number of people are going for dental implants for replacing the missing teeth. This is the only effective permanent replacement solution and prevents bone loss. In the dental implants, the root of the missing teeth is replaced. A direct contact is formed between your jaw bone which is integrated with the bone. This supports the new teeth in form of dentures, crowns or bridge. 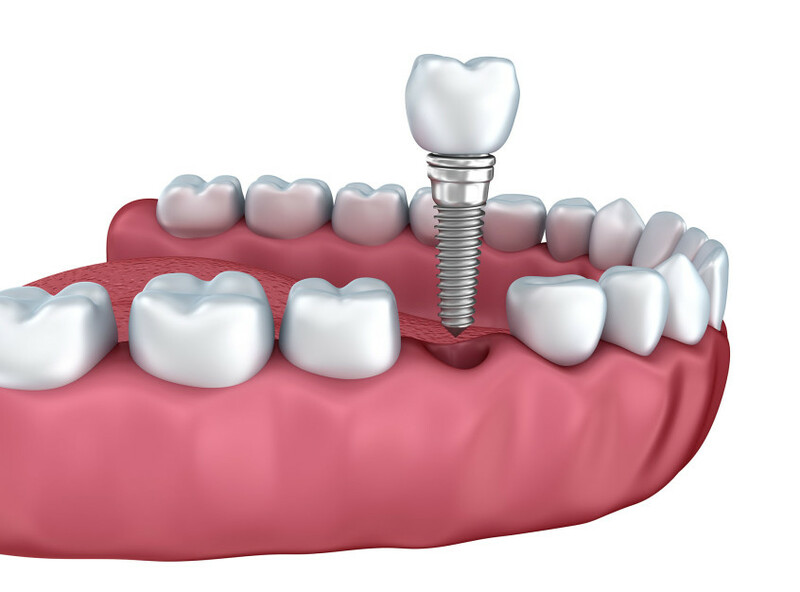 Dental implants is formed with titanium that encourages growth of your bones and prevent jaw bones from getting shrink. One of the common side effect of missing teeth is shrinking of jaw bones and can cause sagging appearance and premature ageing. This replacement asks for a minor operation under skilled implant dentists. It is completely your choice whether you want to do it on conscious sedation or local anaesthetic. After this your dentist will leave this implants for few months to get integrate with your bone. 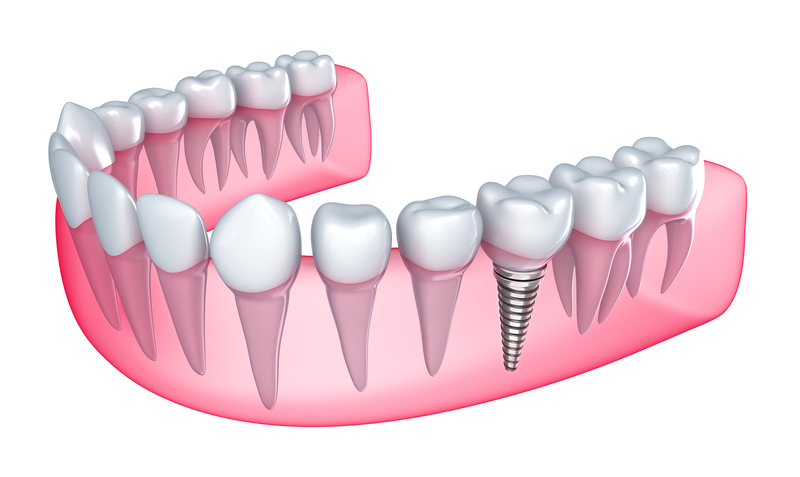 The dental implants are attached snugly, in a way this means a steady pace. You will not have to worry about teeth slipping or shifting. This will prevent gaps between teeth and you are able to speak , bite and restoring your smile. Functionality benefit means that you can eat whatever you like without worrying about speech. Your jaw bone can resorb when there is loss from one side of the jaw, making dental implant more complex in future. Dental implants is the best replacement option for addressing bone problems. Missing teeth results in ceasing of the essential nutrients that is supplied to your mouth from the brain. Tissue degeneration is caused because of this which further leads many health problems. 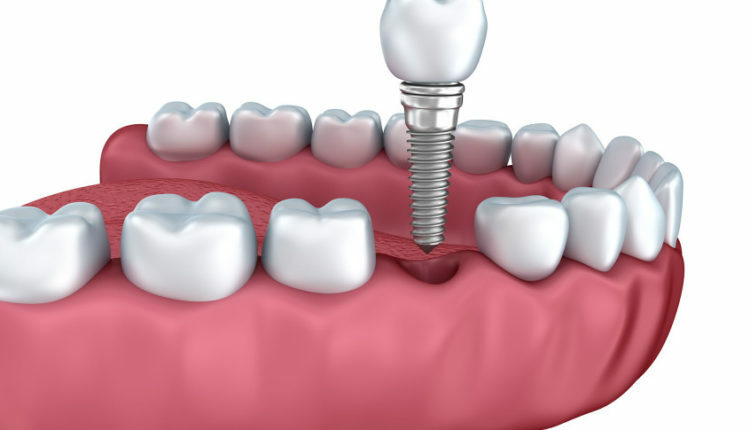 Dental implant as discussed earlier are made from titanium composite that will put the tissue degeneration into a halt. The fact is that your brain can not identify between the natural and titanium tooth. If your mouth have tooth in place, this will make the effective flow of nutrient and blood, because according to the brain your gum has started functioning properly. To keep it precise, this result in returning of your oral health to its optimal condition. You can neglect this benefits as it plays an important role in building up your confidence in the public. Doesn’t it feels great to be able to smile in the public again without worrying about your missing teeth anymore? Dental implant can restore your smile that will look natural on your face. No one will even come closer to identify that you have titanium teeth joined to your jawbone. Undoubtedly the above discussed qualities make dental implants the next big thing. Dental implant treatment carries a track of long and reliable outcomes. For several years, the treatment options available to people who have missed their natural teeth were dentures and bridges. But, presently dental implants has revolutionized the world. With the routine visits to your dentist, your dental implants can last for years often lifetime. Scarlett Iversen is an Internet Research Analyst. He possesses experience in optimizing and promoting websites on leading search engines. His passion is to keep updated with Google, Twitter, Facebook etc. are up to innovate & deliver.